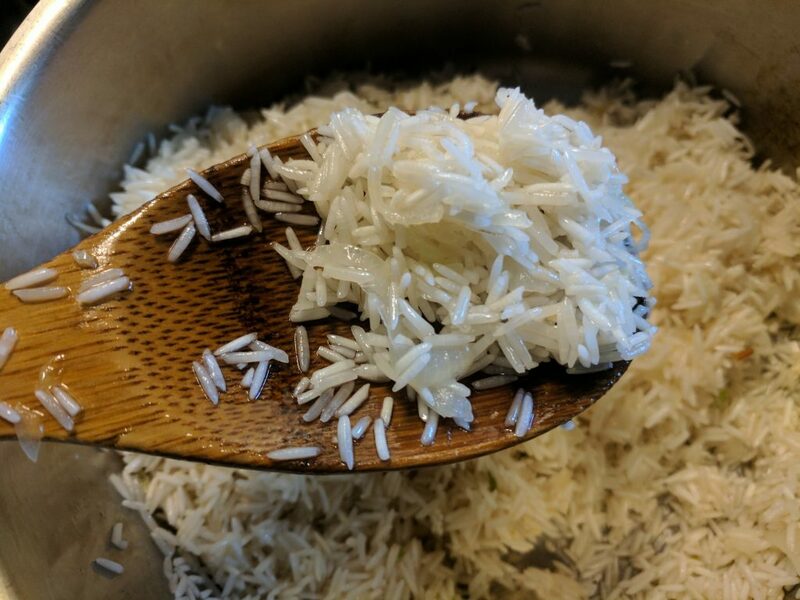 This fried basmati rice cooked in coconut oil is one of my favorites. It is equally loved by children and adults, even by pickiest ones. It has a rich flavor and can be sided with anything like meat, fish, beans, or eggs. Try it and you will love it. This is the recipe I use a lot. It never fails. I always use coconut oil and add enough spices to increase the nutritional value of the rice. 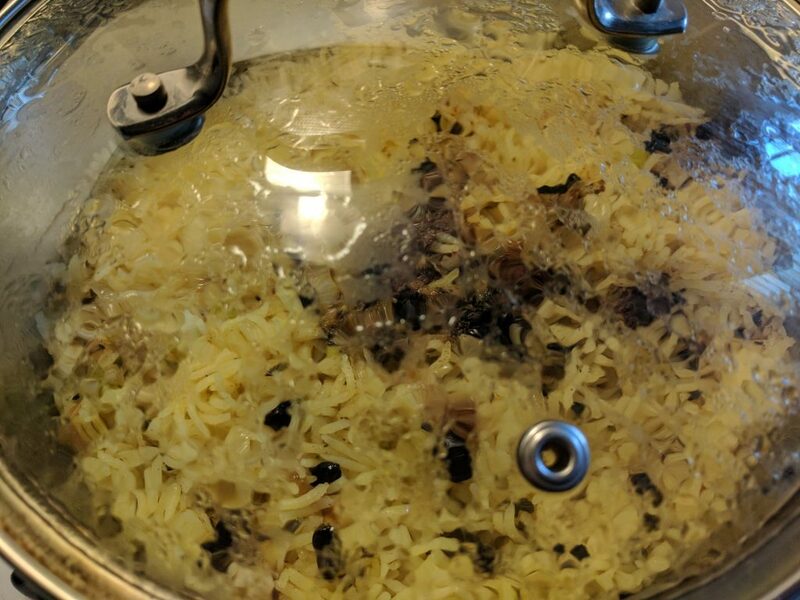 I also substitute one part of water added to the rice with bone broth, which makes the cooked rice even more nutritious. 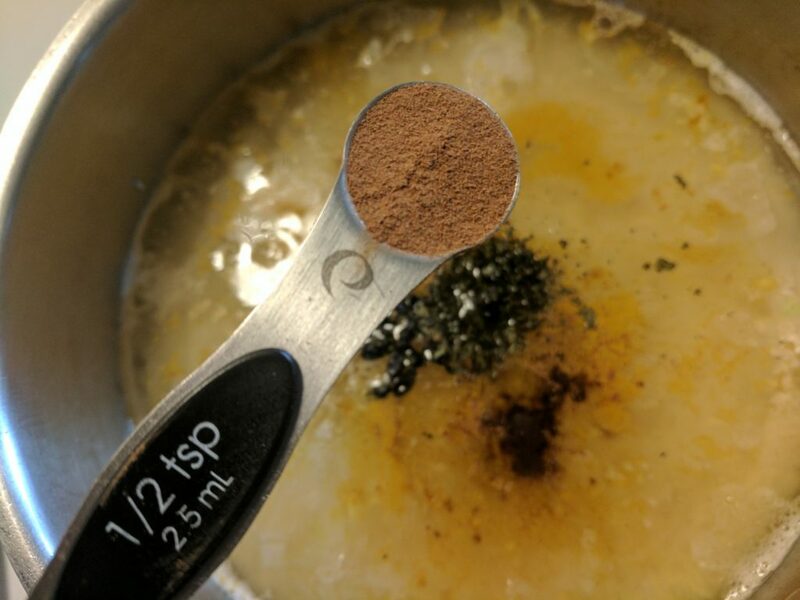 If you do not have bone broth on hand, you can add some collagen powder instead (or just skip it). 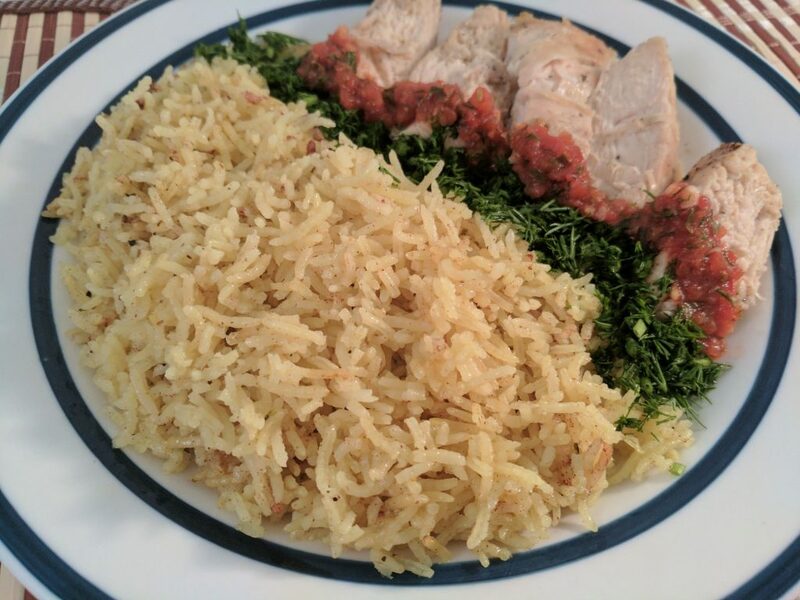 I measure the amount of rice and water added, but eyeball the amount of other ingredients. I may skip some of the spices or add different ones as a flavor experiment. I make sure I add enough coconut oil. Oil and rice are best friends. Coconut oil is healthy and heat resistant, so I do not worry about the big amount. If I add less oil, the rice may cook dry (or even mushy) and less palatable to me. Basmati rice is one of my favorites. I have tried many kinds of rice, but I keep coming back to Basmati again. Basmati rice from California, India and Pakistan has the least amount of arsenic compared to other types of rice. I use white Basmati rice. Brown rice needs a very long soaking time to neutralize the phytic acid (anti-nutrient). 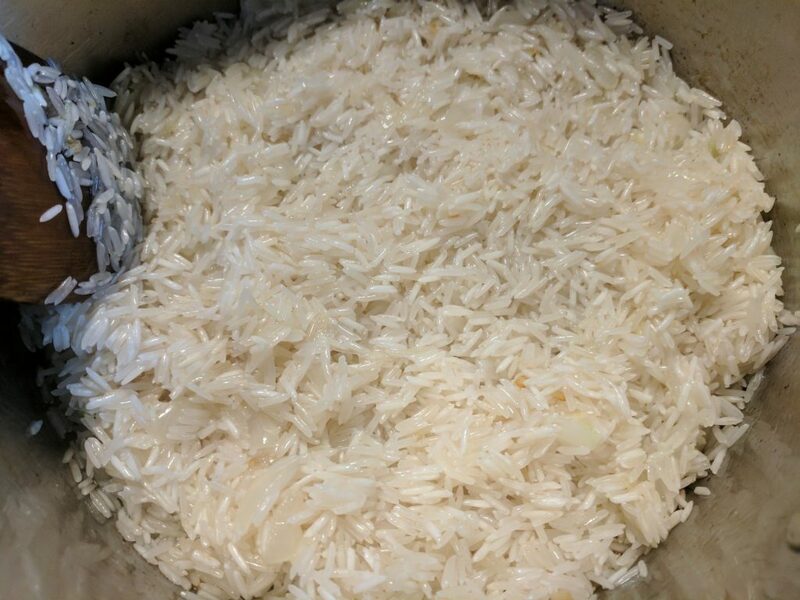 Usually, I do not soak white basmati rice, but I always wash it before cooking. I use this one. Coconut oil is very healthy and heat-resistant oil, which makes it ideal for cooking. I use organic refined coconut oil for cooking, because it has no coconut taste. It is best to avoid refined oils, however coconut oil can be refined naturally without hexanes, meaning refined coconut oil is still a healthy choice. Make sure to add enough oil. 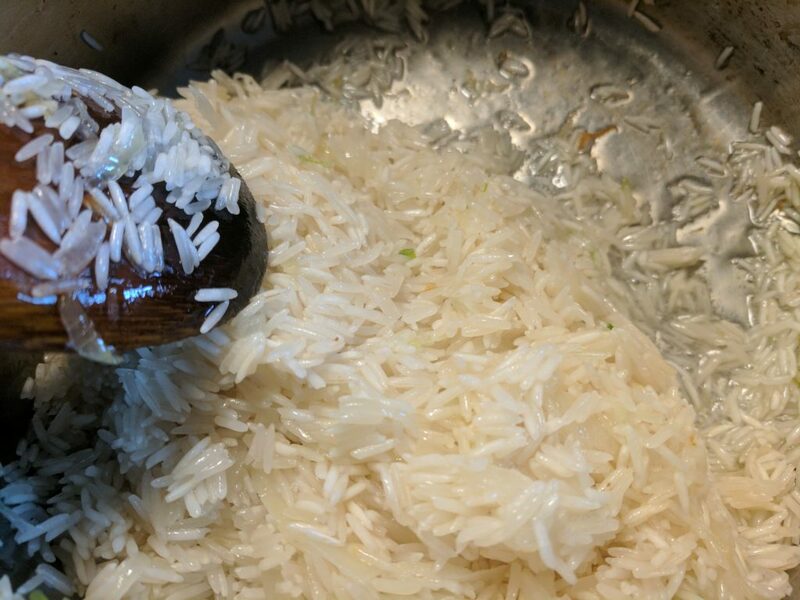 If you add very little, the rice may cook dry or mushy, and less palatable. 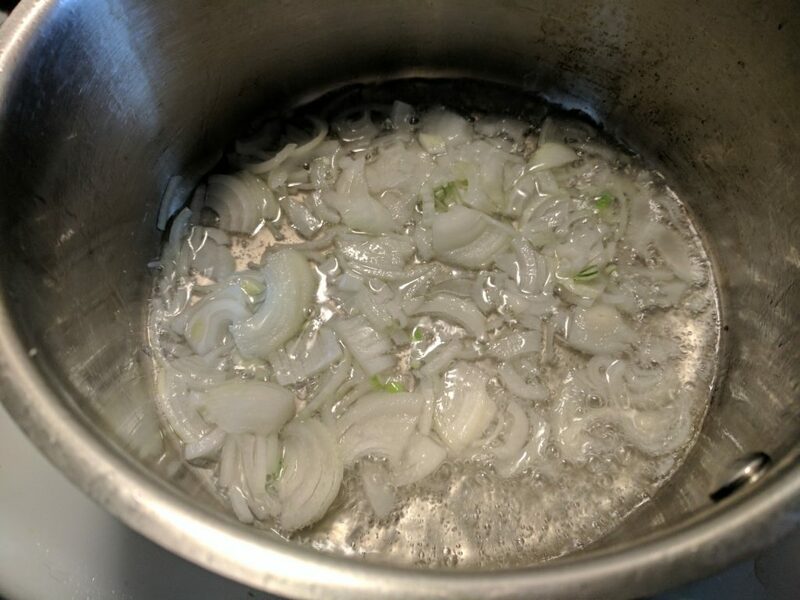 Onion gives a rich flavor to the rice. Optional, but recommended. Carrot gives additional rich flavor and extra nutrients. Optional. Bone broth enriches the rice with minerals and collagen. Optional, but recommended. Collagen Hydrolyze Powder can be used instead of bone broth for extra nutrients and health benefits. Optional. Celtic sea salt is very rich in minerals. Ceylon cinnamon gives a unique flavor to the rice. Ceylon cinnamon is popular for its many health benefits too. It has anti-inflammatory properties, loaded with antioxidants, good for heart and brain health. I sometimes use powder, but prefer Cinnamon sticks. You can use any. Optional. Barberries fight infections, improves heart health, and cleanses the liver. They have a sour pleasant taste and make the rice extra delicious. Optional. Cumin seeds are good for digestion, improve immunity, and help with respiratory problems. Another unique flavor. 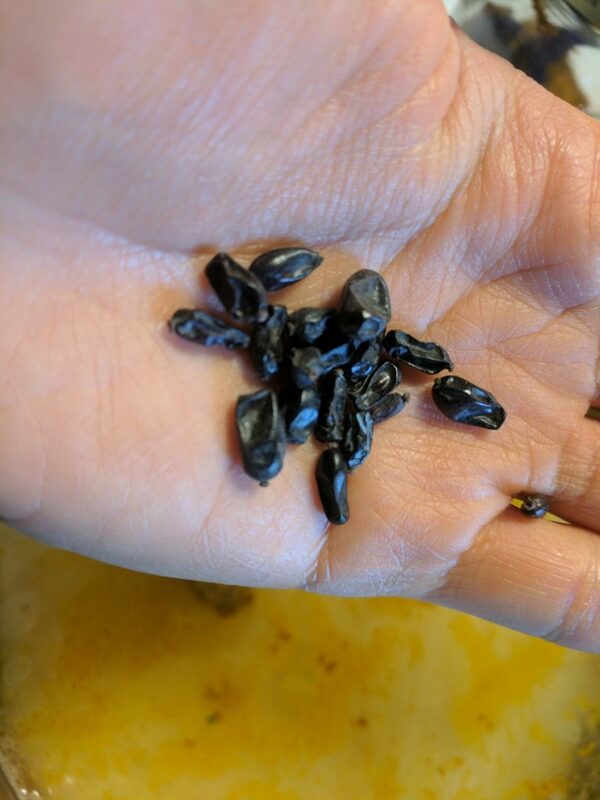 Cumin seeds and rice always complete each other. Optional. Curry powder is a combination of different spices. I add it for extra health benefits. Optional ingredient. Bay leaves speed wound healing and detoxify the body. I love bay leaves! 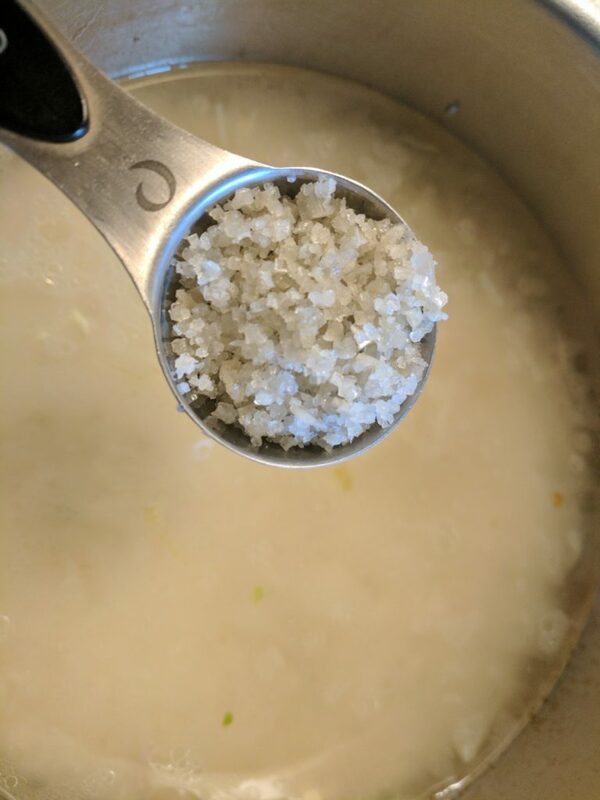 They give a unique and oh so delicious flavor to soups, rice, and meat! Optional. 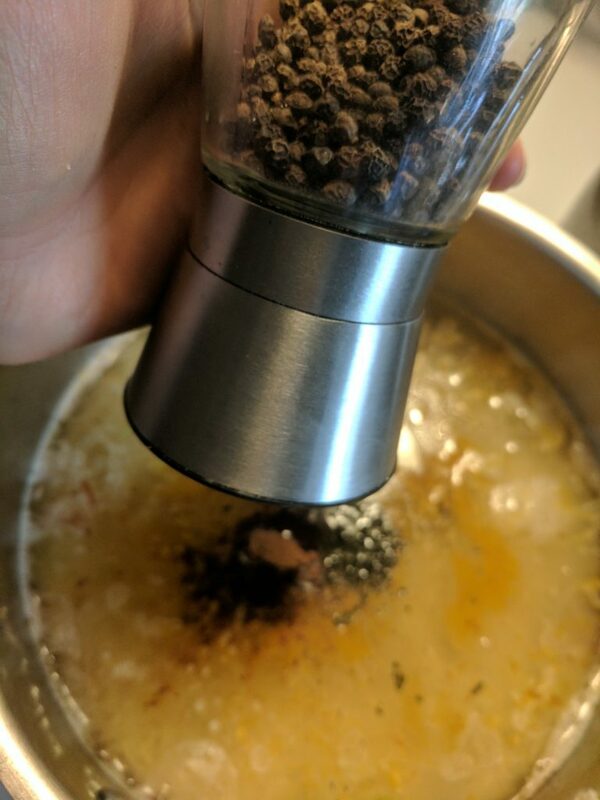 Black pepper enhances the bioavalability of other spices. Optional. Turmeric is a very famous super food. It is best to consume it with black pepper, so do not forget the black pepper if you want to add some turmeric to your rice. 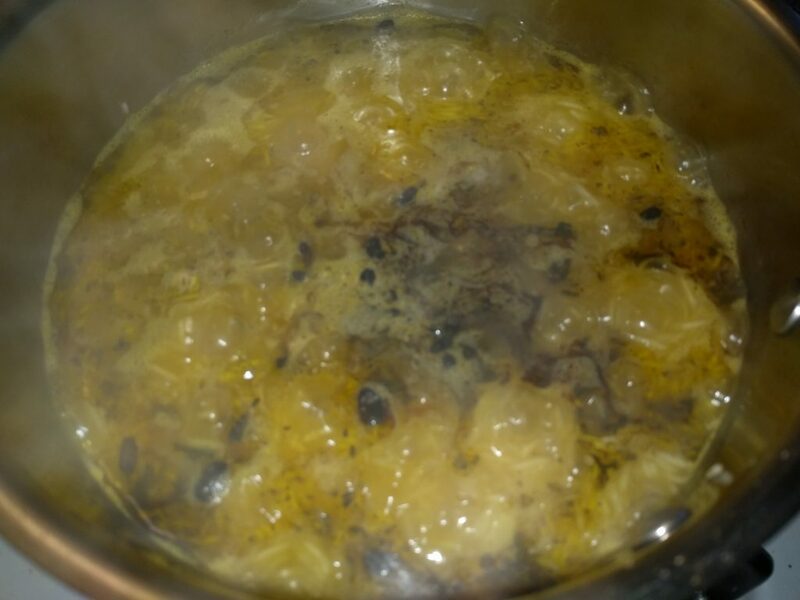 Turmeric makes the rice yellowish. Optional. Cloves improve digestion and enhance sexual health. They give a unique and unforgettable flavor to the rice. Optional. 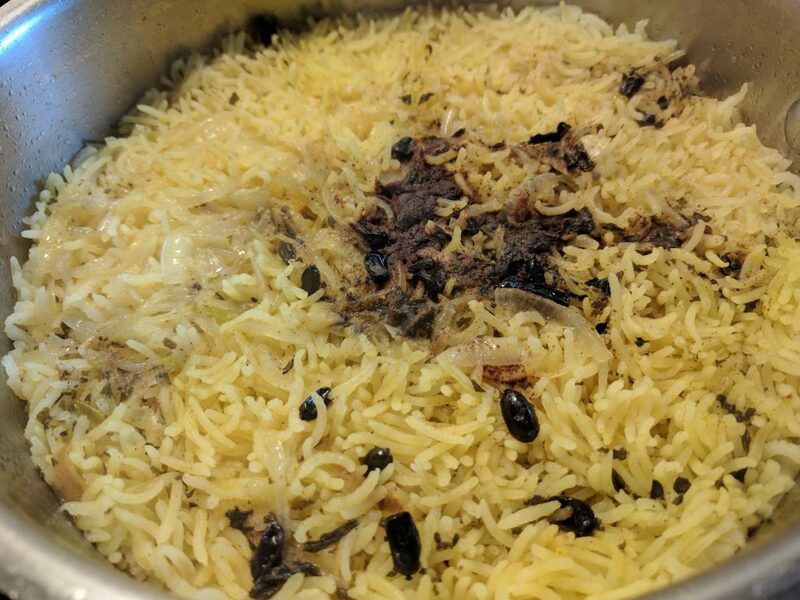 Star Anise is one of the best spices for this kind of rice. The flavor it gives to the rice is AMAZING. I run out of them and did not use in this recipe, but when I have them I ALWAYS use them. 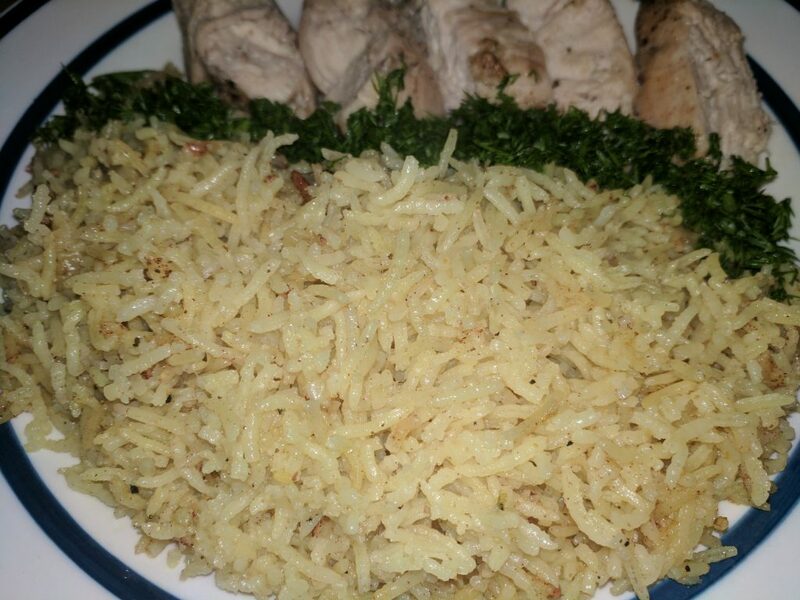 I add about 2-4 stars when making fried basmati rice. Optional. Dried herbs like dried Basil, Oregano, or Thyme. I usually add Basil, sometimes Oregano. Optional. 1.Soak the rice in warm filtered water, adding 1/2 teaspoon of Apple cider vinegar to the water. Leave overnight. You may skip this step if you want. 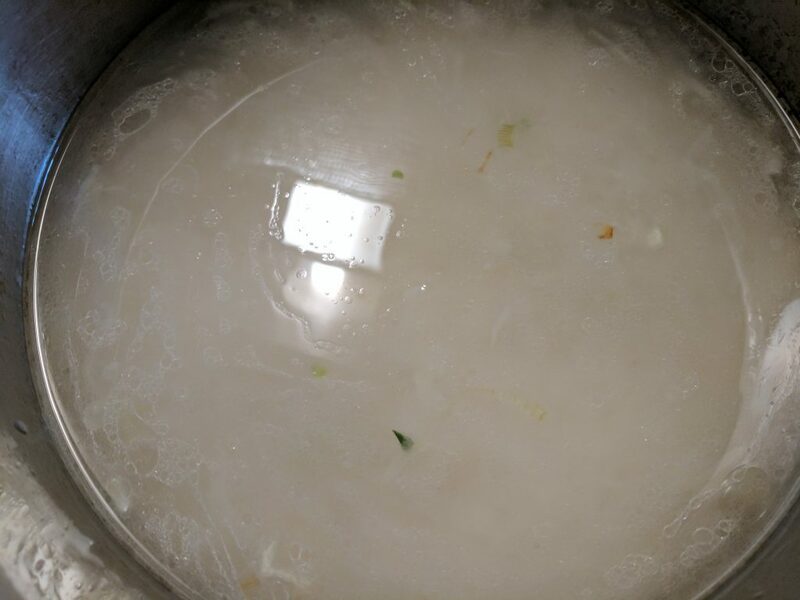 Usually, I do not soak white basmati rice, but I always wash it before cooking. 2. Drain and rinse the rice in the morning. 3. Peel the onion and chop it. If you want you can add carrots too. Peel about 2 carrots and shred them. 4. Put 1/3 cup of coconut oil to the stainless steel pot. Turn on the heat to high. Wait till the oil is very hot. Lower the heat to medium-high. 5. 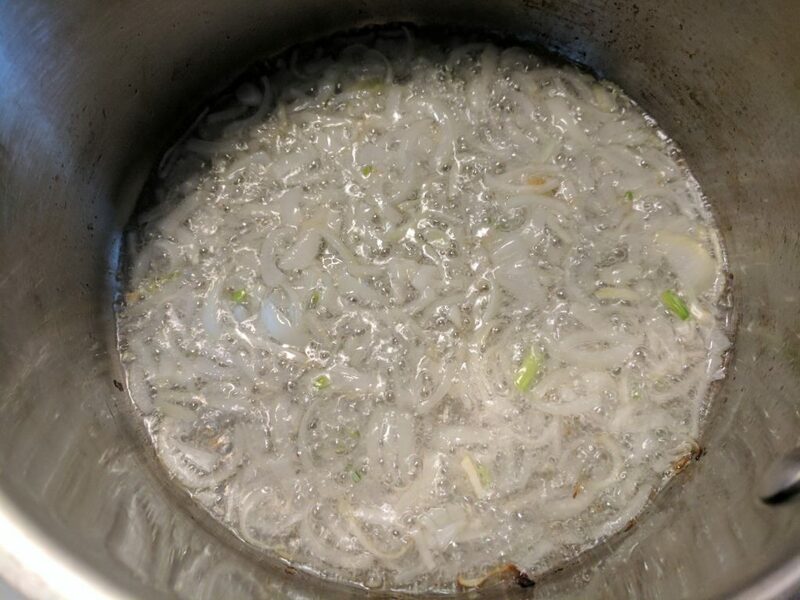 Add chopped onions when coconut oil starts smoking. Mix until soft and golden. Add shredded carrots. Keep mixing till carrots become soft. I did not use carrots this time. 6. Add the rice. Reduce the heat to medium. 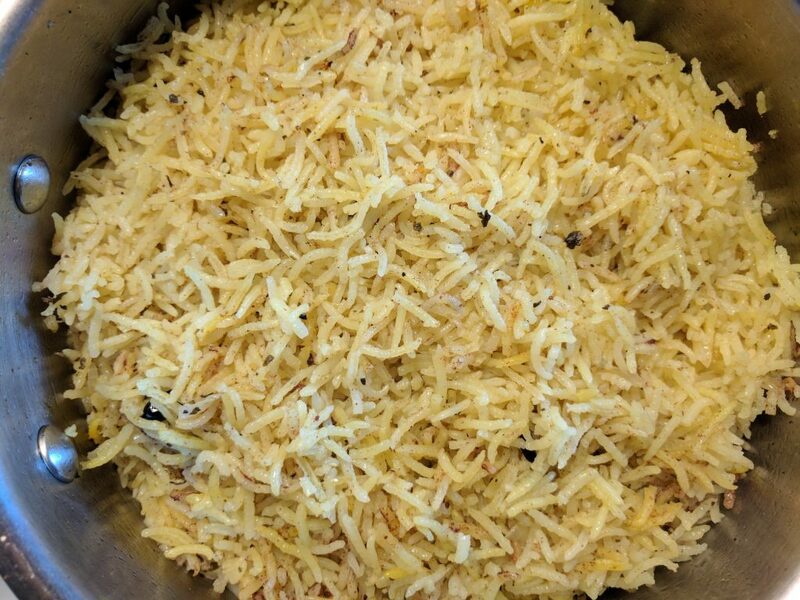 Keep stirring till the rice becomes more whitish and crispy to the eyes. Do not stop stirring. 7. Add water, broth or collagen powder. Increase the heat to high. 8. Add the salt. I added about 3/4 Tbsp of Celtic sea salt. 9. Add other desired spices. Spices enrich the flavor of the rice tremendously. I used the below spices. 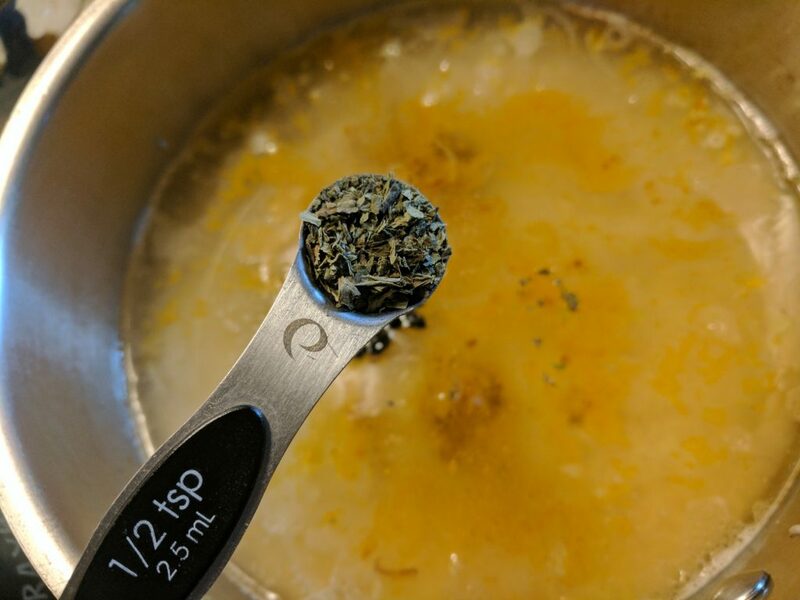 1/2 teaspoon of dried Basil. 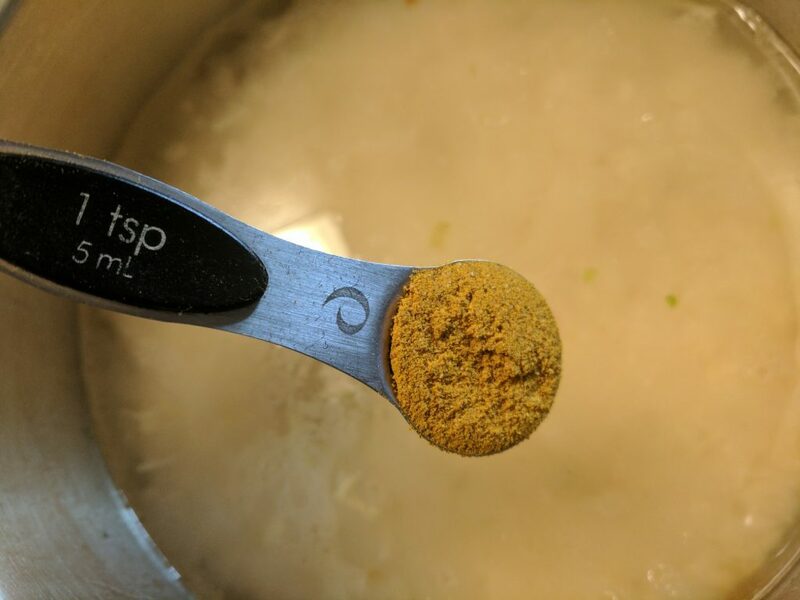 1/2 teaspoon of Cinnamon powder. 9. 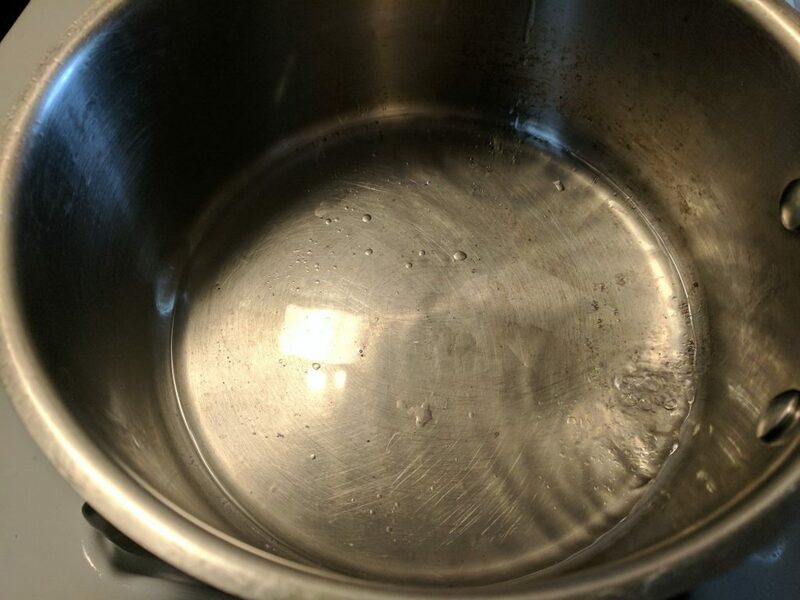 When the water comes to a boil, reduce the heat to low and cover the pot with lid. 10. Set the timer to 15 minutes. 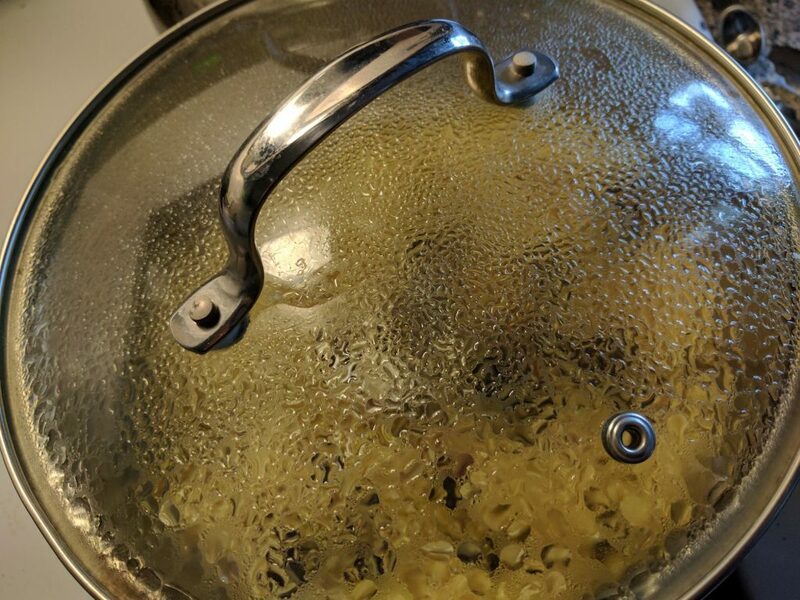 Do not open the lid during this time. 11. After 15 minutes, turn off the heat, but do not open the lid yet. 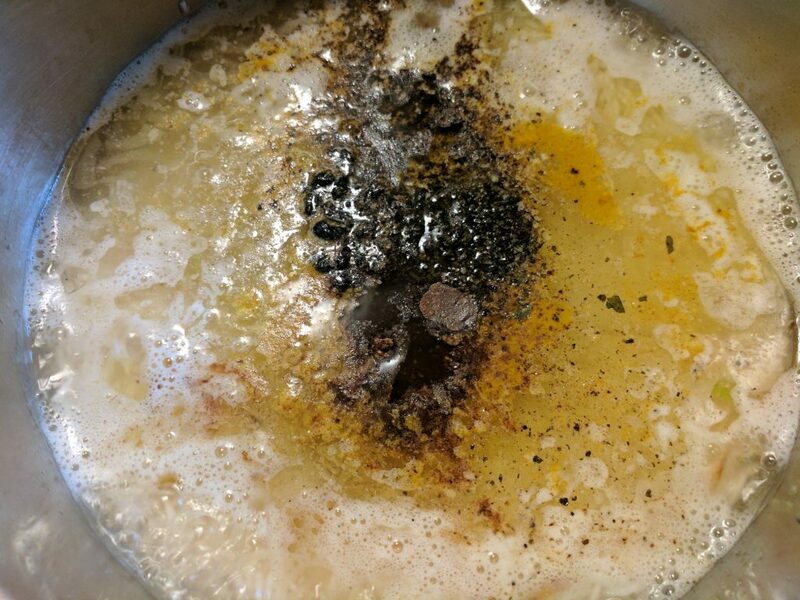 Leave the pot for 10-15 minutes more. 12. Remove the spices floated to the top if you want (star anise, bay leaves, or cloves).